Firstly, how do the 2016 Christmas ads compare to those of 2015? While the 2016 John Lewis campaign commanded the highest level of exposure by far - reaching over 60 million Twitter users - M&S and Waitrose are the only brands to outperform their 2015 campaign. In fact, this year’s #LoveMrsClaus campaign from Marks and Spencer has reached over four times more consumers on Twitter. In 2015, more than 60% of consumers discussing the Christmas ads were female.This year, M&S used a female protagonist, which in turn, amplified the campaign by resonating with the audience majority. #girlpower is a key hashtag surrounding the campaign. Oppositely to Marks and Spencer, Lidl has witnessed the most dramatic decrease in exposure. In 2015, Lidl’s interactive #schoolofchristmas campaign triggered the most user generated content out of all retailers. However this year, Lidl’s free-range messaging became misconstrued and provoked an unexpected response. Curious marketing choice from Lidl with their Christmas advert. Show the animals being happy and free - cut-frame to a roast turkey dinner..
Consumers have cussed the brand for allegedly advertising the killing of happy animals. In fact, its 2016 campaign sparked the highest level of negative sentiment out of all eight retailers. Hate Lidl's Christmas advert, it puts me off eating Turkey #lidl #christmasadvert #sad #savetheturkeys ? Learning and improving is often driven by analysing previous efforts. Social listening is a productive way to track campaign performance by enabling marketers to assess and benchmark metrics as well as reveal key qualitative insights. Catch our full 2015 evaluation here. Using our social listening tool Radarly, we explored the different campaigns and consumer reactions to reveal four marketing secrets behind the success of this year’s ads. Aldi screams “LadBible” as it piggybacks the John Lewis Christmas magic for the second year. In 2015 Aldi’s #manonthemoon spoof generated two times more social buzz than its own Christmas campaign. The “Aldi Telescope Christmas Advert 2015” (John Lewis spoof) boasts more than two million Youtube hits, compared to just 900,000 for Aldi’s official 2015 campaign. This year Aldi released a video of their social superstar (#KevintheCarrot) anticipating the John Lewis advert. A clever strategy from the discount retail store. Due to its anonymity, this approach initially confused consumers, but when all was revealed its entertainment value was commended. As a result, more conversation around Aldi and its Christmas ambassador was driven. Its humorous style resonated with its millennial social and shopper audience. The campaign reached a global audience of 2.3 million in its first week. Tesco and Asda, the other two brands sharing Christmas moments through a series of adverts, reached a combined global audience of just one million. The comical Aldi series featuring Kevin the Carrot has been the most successful. Kevin particularly suited the Scouse humour - the city of Liverpool discussed this advert substantially more than the other Christmas ads. Also this year, John Lewis steered away from its signature tear-jerker style with a more light-hearted campaign. Buster the Boxer, John Lewis’ first humorous campaign is the brand’s most shared Christmas ad of all time! #Kevinthecarrot and #Bustertheboxer echo 2014’s #MontyThePenguin, and the unofficial (user generated) hashtag for Sainsbury’s 2015 campaign - #mogthecat. Social data reveals that three word character-based hashtags resonate more with audiences. They are easy to remember, are inclusive of the campaign’s subject and are immediately recognisable. This year, Sainsbury’s #christmasisforsharing hashtag only features in 6% of its christmas ad conversation, whereas last year #mogthecat featured in 25% of Sainsbury’s mentions. While its #christmasisforsharing hashtag didn’t get much traction, Sainsbury’s is the only brand to share consistent Christmas messaging, strengthening its values each year. Although the hashtag was not utilised, the campaign itself performed well, taking second place for most discussed 2016 campaign after John Lewis. The Tesco Christmas campaign did not define a hashtag, only a slogan, ‘Bring it on’. 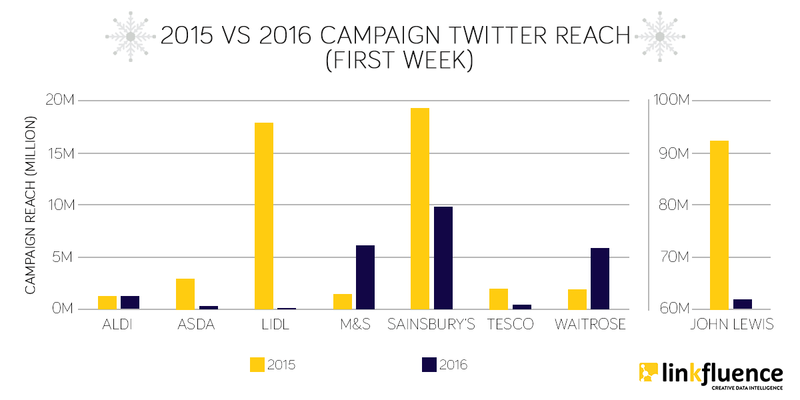 With just over 1000 related mentions in its first week and a 78% decrease in reach from 2015, the Tesco campaign generated the lowest level of social conversation. Tesco really need to up there Christmas advert game?????? Hashtags are crucial in amplifying content. An engaging, appropriate hashtag can make or break a campaign. John Lewis adopts the most holistic approach out of all retailers in the Christmas ad mix this year. The Buster the Boxer ad remains in an emotional territory yet steers towards something more tangible. The department store has gone one step further by activating a multi-platform approach in order to draw a young audience and their parents to its stores. A store-specific Snapchat filter, a YouTube 360 experience, in store VR experience, a Buster the Boxer inspired Christmas window and an abundance of advert merchandise. This year’s holistic marketing formula is less related to provoking emotion and tailored more towards driving sales. Retail Week confirms that merchandise associated with John Lewis’ Christmas advert was among the top ten John Lewis bestsellers throughout the ad's launch week. It is also claimed that the week following the advert saw sales total £112.4m - up 1.8% on the year. 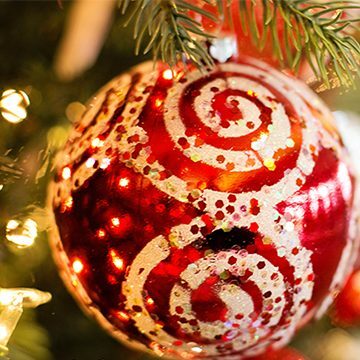 Oppositely to a commercial Christmas, Waitrose and M&S bring back the traditional Christmas. This year, The M&S #lovemrsclaus campaign resonates with families - adults and children - by transpiring traditional family values, often appreciated most during the festive season. #family and #love are among the most used hashtags. The Marks and Sparks ad, along with the Waitrose ad, triggers the highest volume of positive sentiment by connecting consumer emotion with the traditional Christmas. This year’s ad moved from a product focus to a people focus, subsequently generating a much more emotional campaign. Its emoji cloud presents the most festive display out of all retailers. 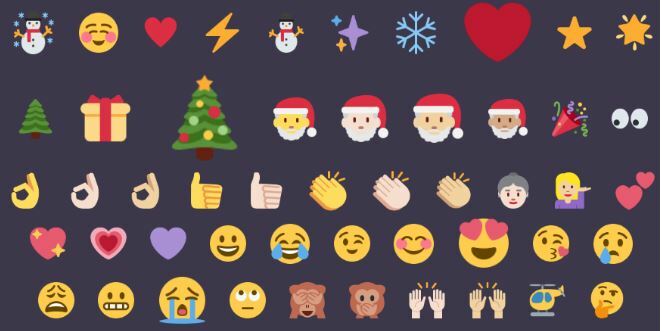 The abundance of expressive emoticons used, along with its lack of product emoticons support the idea that focusing on people not products is extremely, emotionally and positively impactful. Waitrose has taken a similar approach with their Christmas-card like ad. Featuring the long and treacherous journey of a robin, Waitrose homes in on the traditional Christmas. #homeforchristmas has been the surprise ad of the year, increasing its Twitter reach from 1.9 million to 6.1 million. The annual Christmas ad contest becomes more competitive each year. This November, both veterans and newcomers have triggered an eruption of conversation on the web. The “Coming home for Christmas” advert by newcomer, Heathrow Airport, has unexpectedly been dubbed by many as this year’s favourite. Due to the extremely competitive and constantly evolving landscape, retail brands are having to work more strategically in order to be noticed. At Linkfluence, we help brands maintain their competitive advantage and develop their digital and social strategies through social media intelligence. To find out more about our services, please get in touch!